Which planet is the sixth planet from the Sun? 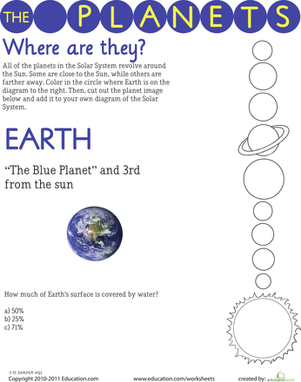 The Ringed Planet, of course! 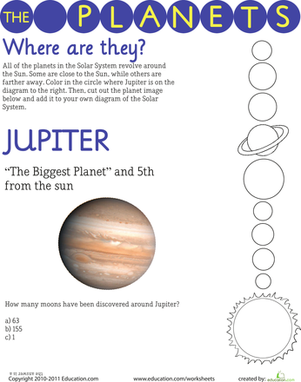 This worksheet teaches all about the planet Saturn and its placement in the Solar System. 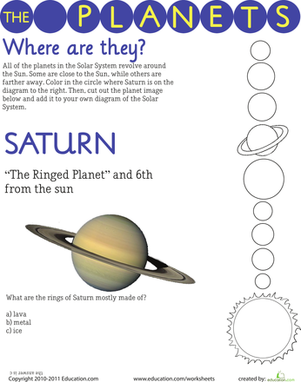 Kids get a fine motor muscles boost as they cut out the picture of Saturn to add to their collection. 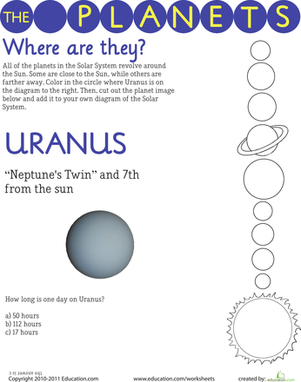 Practise naming the planets in our solar system with a fun, visual worksheet! 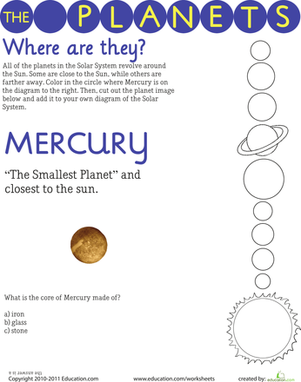 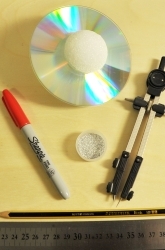 Your child can see the planets in their orbits and try to label each one. 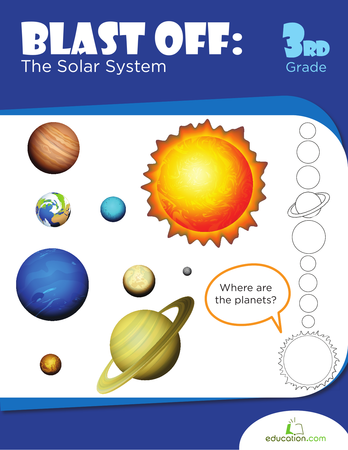 Your child can make his way across our solar system, planet by planet, learning interesting facts like any good astronaut, and making a 3-D mobile.